Since 2002, FloydFest has been offering outstanding lineups and a thriving sense of community — one that’s uniquely tuned the surrounding landscape. It starts with accommodations, with on-site camping as well as VIP packages for concertgoers who want set up shop as close to the stages as possible. 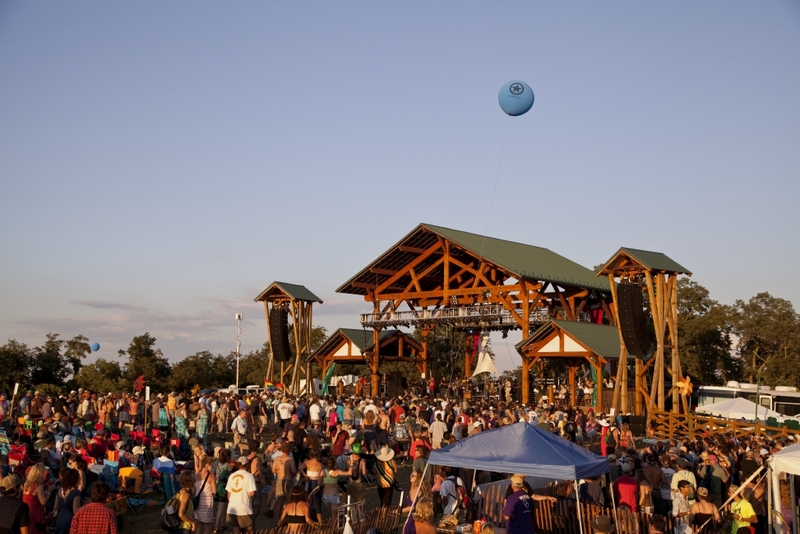 Then there are the stages themselves, which are timber frame structures, designed to blend in with the environment and enhance the audience’s connection with the nature that serves as the festival’s stunning backdrop. And that’s just the beginning, because organizers have built out a robust menu of outdoor activities for the five days the festival takes place. There are “On the Water” float trips down the nearby Little River, complete with lunch and shuttles to and from the site. There’s the Belcher Mountain Beat Down, a downhill mountain bike race that has been made accessible to all ages. There are even 5K trail races for music fans who want to log a few miles amid the tune-fueled celebrating. Just 10 minutes from Floyd, Virginia, FloydFest is a bucket list item for any active music fun. Three days. 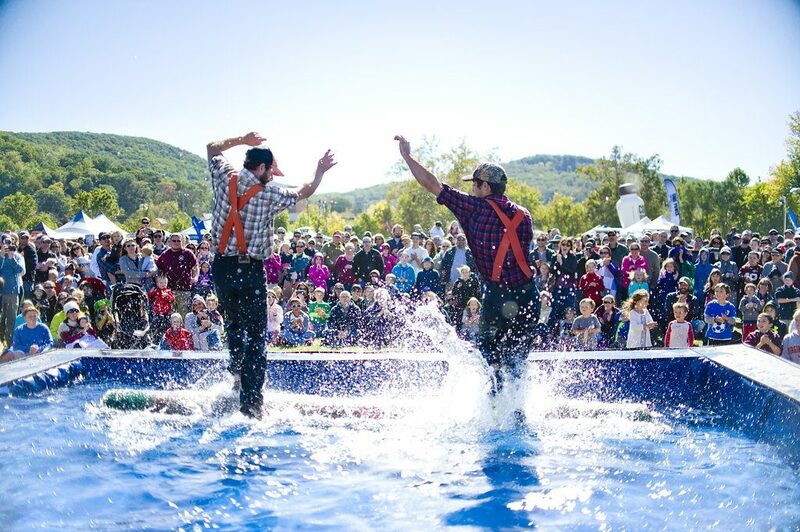 More than 300 scheduled events, including spectacles like a lumberjack show, a paddling demo, and a dock jumping dog show. And two nights of top-notch live music. That’s the Anthem Go Outside Festival, held each year in Roanoke at Rivers Edge Sports Complex via a partnership between the Roanoke Outside Foundation and Roanoke’s Parks & Recreation department. And while there’s loads for the festival’s many attendees to see — 2017’s attendance numbers topped 35,000 — there’s just as big an emphasis on participation, as adventurous souls can bike, climb, fish, run, walk a slackline, practice yoga… the options are as varied as they are active. There are also myriad opportunities to learn, with courses on everything from how to cast your fishing reel to Backpacking 101. When the Sun goes down, the lights come up on the Haley Toyota Music Stage, with acts headlining both Friday and Saturday nights, and acoustic performances on a separate stage during the day on Saturday — perfect for concertgoers of all ages. You just know a festival that kicks off with an event called the “Filthy 5k-ish Mud Run” is going to be a blast. 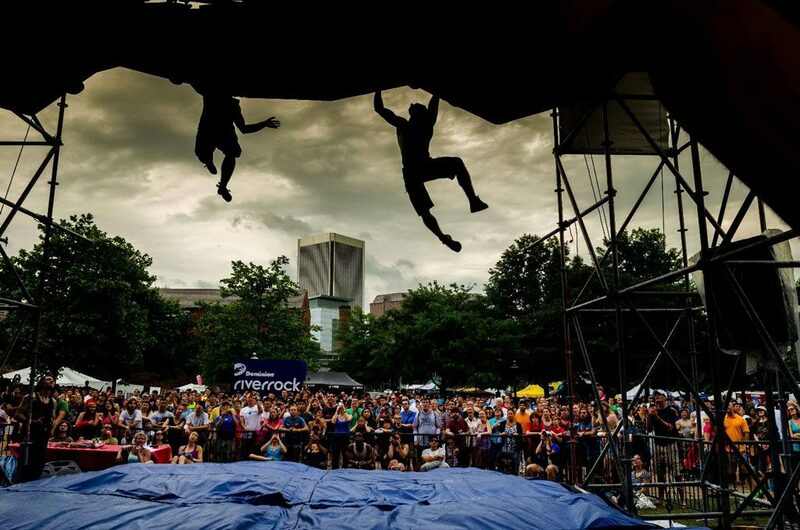 Dominion Energy Riverrock takes place each May on and around Brown’s Island in downtown Richmond, though runners, mountain bikers, and paddlers will be the first to tell you that the greater James River Park System is a big part of the action. In addition to the Mud Run, there are 10K and half marathon options for runners, with the popular James River Scramble and the Bust the Banks Trail Half, both taking advantage of the park system’s extended single-track paths. Those paths also play host to the Urban Assault Mountain Bike Race, a true challenge for cyclists looking to take on steep climbs, creek crossings, and downhills among what’s described as “some of the best and toughest urban single track the East Coast has to offer.” Add in multiple kayak and stand-up paddleboard races, bouldering, slackline, yoga, and headlining performances from the likes of the Keller Williams, Blues Traveler, and Matisyahu, you have the nation’s premier outdoor sports and music festival. There’s no wrong way to explore the Crooked Road, Southwest Virginia’s music heritage trail. With so many historic stops worth exploring, you can choose any starting point — the Carter Family Fold, the Floyd Country Store, the Lincoln Theatre in Marion, Virginia — and be certain educational and enriching experiences are just around the bend. But if you’re into outdoor adventure, the Ralph Stanley Museum and Traditional Mountain Music Center in Clintwood would make an excellent finish line, because it’s just a short drive from Breaks Interstate Park. The park stretches across the Virginia-Kentucky border, comprising 4,500 beautiful, mountainous acres. A central feature is the Russell Fork River Gorge — also known as the “The Grand Canyon of the South” — which boasts a depth of 1,600 feet. There are plenty of options for exploring the area via hiking trails, biking, kayaking, and rafting, but especially adventurous souls can get to know the gorge from the air thanks to the Canyon Rim Zipline Tour. Started in fall of 2017, this thrilling tour consists of 2,000 feet of line and three stops — a crooked road of an entirely different sort! 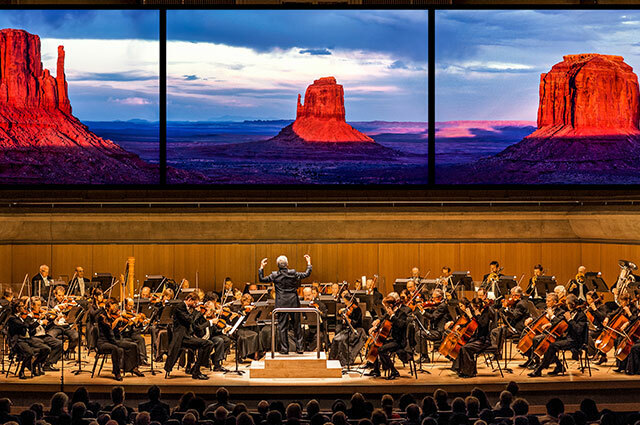 Not many performing arts centers double as national parks — in fact, there’s just one! Its full name is the Wolf Trap National Park for the Performing Arts, and you’ll find that the Vienna, Virginia facility — all 117-acres of it! — is so much more than a place to see a concert. In addition to showcasing legendary headlining acts like Paul Simon, Wynton Marsalis, and Emmylou Harris in its stunning, wood-framed Filene Center outdoor amphitheater, Wolf Trap provides a number of opportunities to enjoy the surrounding landscape, including two trails for hiking: The mile-and-a-half-long Wolf Trap TRACK Trail, which is ideal for children and families, and the longer Wolf Trap Trail, which stretches 2.5 miles through the perimeter of the park and is maintained by the Potomac Appalachian Trail Club. There’s even a Children’s Theatre-in-the-Woods, offering dance, storytelling, and puppetry. And keep in mind that concertgoers can bring their own picnic to the Filene Center — the perfect reward for a brisk pre-show hike. The post 5 Musical Adventures Awaiting in Virginia appeared first on Virginia’s Travel Blog.